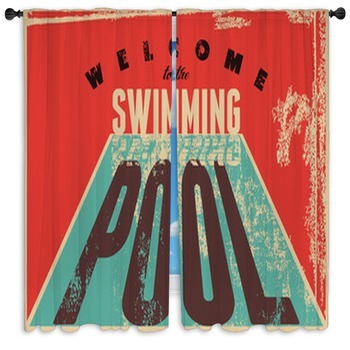 Our collection of swimming window curtains may interest past and present swimmers. 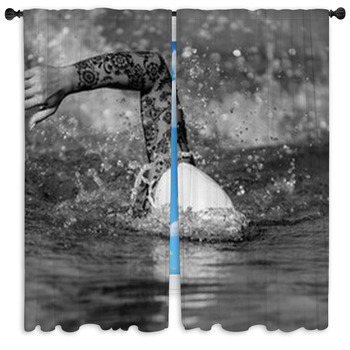 You may like our swimmers at the swimming pool window curtains, showing a professional female swimmer swimming underwater. 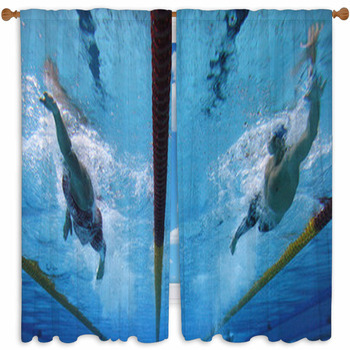 The swimmer in the swimming pool window curtains depict a male swimmer swimming above the surface. The empty swimming pool window curtains highlight the architecture of the building the pool is housed in and the clear, blue water. 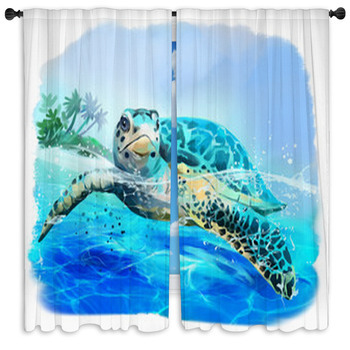 For a picture of sparkling water, refer to the clean and bright water in the swimming pool window curtains. The swimming pool with blue water window curtains features red and white ropes with blue marking showing division. 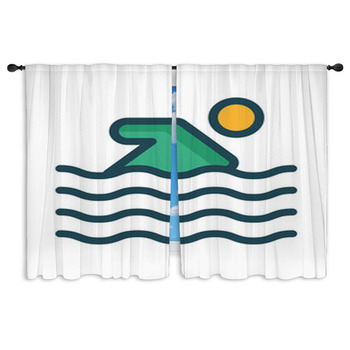 Another window curtain of the same name shows a white rope attached to the front and end of the swimming pool to create a division with blue lines painted underneath the water. 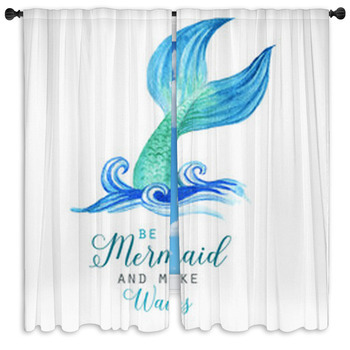 The swimming in sunset window curtains provides you with a stunning view of the ocean and the beautiful sky reflecting off it. 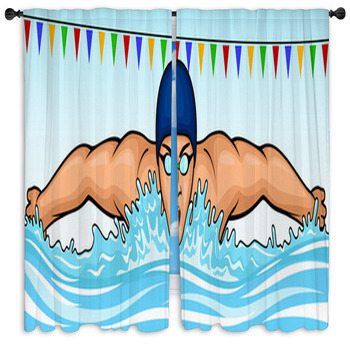 The male swimmer at the swimming pool window curtains depicts the swimmer swimming under water. The man swims the butterfly window curtains show the swimmer using a popular swimming technique to reach the finish line. 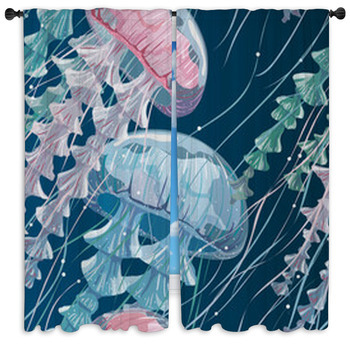 The image on the swimming pool window curtains show a female swimmer swimming at night and using the light reflecting upon the water as her guide. 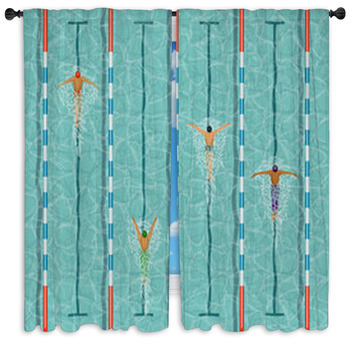 The natacion en piscina de verano window curtains feature a swimmer doing laps in the water and splashing the water behind her with each hand movement. 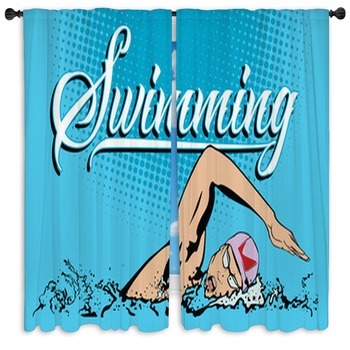 You can personalize the swimming window curtains with a picture of you in the pool.